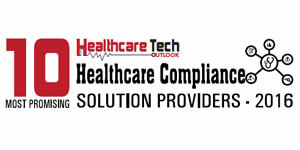 A significant challenge facing healthcare administrators is maintaining a complete culture of compliance in the face of ongoing exponential regulatory change. Particularly for organizations with geographically disperse facilities, it is difficult to create and maintain consistent compliance policies, track compliance activities and investigations, measure risk, and track conflicts of interest and contracting across broad enterprises–especially in a “paper environment”. ComplyTrack is a comprehensive compliance solution that connects fragmented processes and information silos information along the entire Governance, Risk Management and Compliance (GRC) continuum by incorporating applications covering incident reporting, issue tracking and management, surveys, IS and risk assessment, audit management, and contract and document management. Similarly, Wolters Kluwer has developed a tool—Information Security Assessment Manager (ISAM)— built on the ComplyTrack platform to assess and mitigate privacy and information security risk across the enterprise. ISAM allows CIOs to conduct surveys across multiple individuals, departments or facilities utilizing pre-written question sets. “By asking questions based on common security frameworks, organizations can assess how they stack up to best practices and expectations in a healthcare environment,” describes Feldman. With robust reportingas well as analytical and dash boarding capabilities, ISAM leverages these survey responses to assist in assessing overall IS risk, determine areas that require greatest focus, and manage the action plans necessary to mitigate that risk. As an example of how Wolters Kluwer assists healthcare organizations to enhance the effectiveness of their business operations, Sunrise Community, a private not-for-profit healthcare organization, adopted ComplyTrack for record creation, investigation, and data gathering/ reporting. ComplyTrack markedly simplified record creation and reporting by automating labor-intensive, multi-step processes while enabling automatic investigation tracking. “Our solution enabled Sunrise to build and maintain a culture of compliance across a multi-state organization,” remarks Feldman. Wolters Kluwer Legal and Regulatory U.S. addresses the challenge of supporting a culture of compliance by providing a wide range of applications to support all aspects of the compliance workflow in combination with some of the fastest implementation and best support in the healthcare industry. “We offer integrated workflow tools with regulatory and compliance content to deliver a comprehensive and powerful solution,” says Feldman.